Substitute a meal with a delicious, nutritious AIM smoothie pack. The rich amount of vitamins and nutrients in this Smoothie will satisfy your hunger, boost your energy, help you lose weight and improve your overall health. 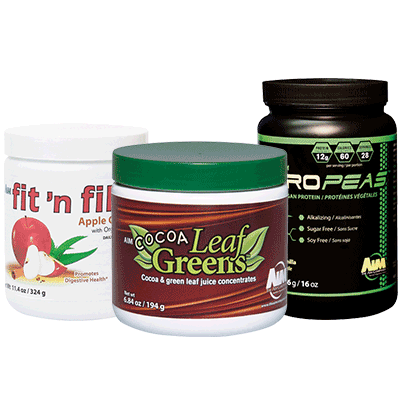 The Smoothie Pack features healthful greens and delectable chocolate in CoCoa LeafGreens, vegan protein from ProPeas, plus fiber and herbs to create a feeling of fullness from fit ‘n fiber.